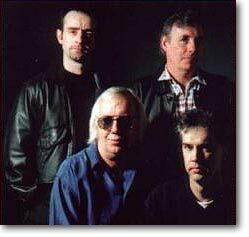 Drummer Mick Underwood originally launched a band called Quatermass back in September 1969, along with current Episode Six bandmates Pete Robinson and John Gustafson. They made one (now cult classic) album on Harvest, and split up in 1971. Ritchie Blackmore later covered 'Black Sheep Of The Family' on the first Rainbow album. In 1994 Underwood got talking to Nick Simper at an RPM Records bash, and arranged to have a jam, which lead to the formation of a new band. 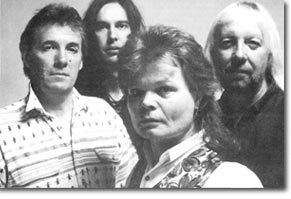 Experienced session singer Peter Taylor and ex-Gillan guitarist Bernie Torme were brought in, but after initial rehearsals Torme decided to back out in case a heavy touring schedule became a possibility. Nick replaced him with Gary Davis. At this point the band settled on the name Quatermass 2, and recorded a three track demo tape. However, neither Nick nor Mick were 100% happy with the vocal sound on the demos, leading Peter Taylor to be replaced by singer Bart Foley. As well as bringing in Bart Foley, the band also decided that without major label input it would be very difficult to tour in any way, so Quatermass 2 (like Fandango before) were to remain a studio-based project. The fact that Foley was signed to EMI for a solo album also made it hard for them to gig. Much of the material for their album was written by Foley and Davis, with two tracks contributed by original Quatermass bass player John Gustafson, and one by guitarist Bernie Torme. Don Airey was brought in to add keyboard touches, and the album, aptly titled 'Long Road,' was finally released in the UK on RPM / Thunderbird in November 1997. It was a quality rock album, veering towards AOR at times, and was generally very well received. However, it proved to be a one-off, and Nick Simper returned to playing rock'n'roll in the London area with The Good Old Boys. The Good Old Boys were a continuation of Flying Fox, formed as a vehicle to play live rock 'n roll whenever members were free from other bands and projects. Flying Fox's line-up by 1982 was Pete Parks, Nick Simper, Carlo Little and singer Alan Barratt. After Little's departure in 1984 the band became The Good Old Boys, who continue to play regularly in the London area through to the present day. Drummers to have passed through their ranks include Chris Hunt ( Meal Ticket, Dana Gillespie, Micky Moody Band ), Terry Sullivan (Rennaisance), and Richard Hudson (The Strawbs, Hudson Ford, The Monks, Elmer Gantry). Bass players (aside from Nick Simper) are Nigel Portman-Smith (Pentangle, Micky Moody Band), Terry Mordew (Longdog), and Tony Dangerfield (Joe Meek). Guitarists aside from Pete Parks are Alex Chanter (Nashville Teens) and Simon Bishop (High Society). 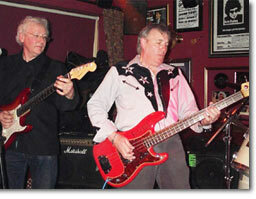 The 2005 line-up includes founder members Nick Simper, Pete Parks and Alan Barratt, with Simon Bishop (guitar) and Richard Hudson (drums).